The BEPRINT™ Experience evokes your power to walk in every area of life aligned with your highest potential. Transform your life with the guidance of Evók's seasoned, highly skilled experts who have already helped so many. Go where few programs or products go: beyond information, education, inspiration, and motivation to transformation and practical application until you experience your goals. The 5-dimensional space designed for you to live by design and WIN your game. A combination of virtual resources, community, and live accountability and support. 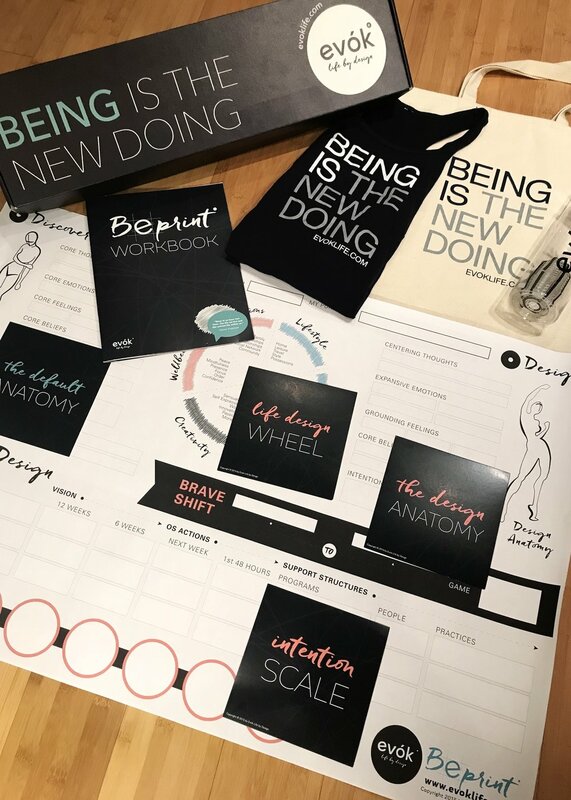 The Intention Studio will elevate your intention and expand your results through education, inspiration, motivation, transformation, and the ultimate event our Destination BEprint™.